Since the early 1960s, when the section north to Manchester and Jackson was removed, Clinton, Michigan has served as the terminus of the Jackson (later Clinton) Branch of the New York Central, Penn Central and Conrail. In the 1980s, the yard became the home of the Southern Michigan Railroad Society. 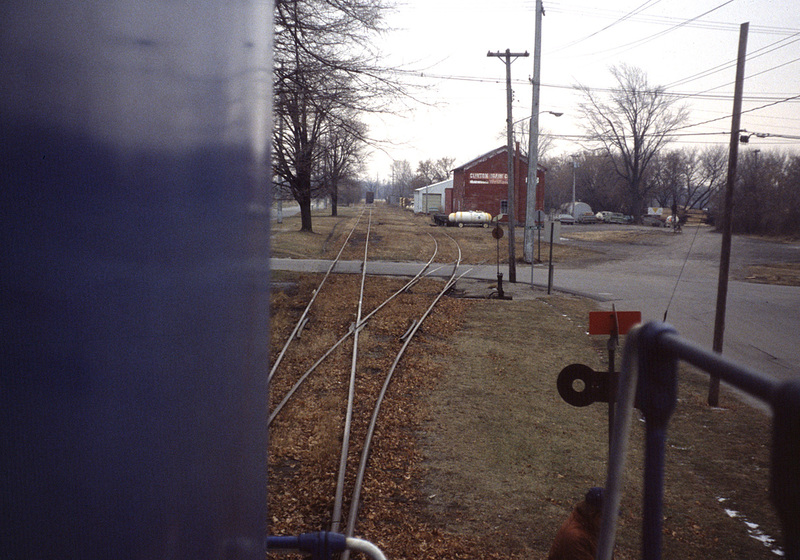 Edward Hodges provides this photo from the cab of Conrail #5457, taken on 23 December 1980. The switch has just been aligned to allow the Conrail GP-8 to run around its train (seen in the distance on the main track). The red building of the Clinton Grain Company is the former-NYC freight house; across the tracks at one time stood the passenger station. Behind the freight house are signs of the growing Tri-County Logging Company (later Hardwoods of Michigan). 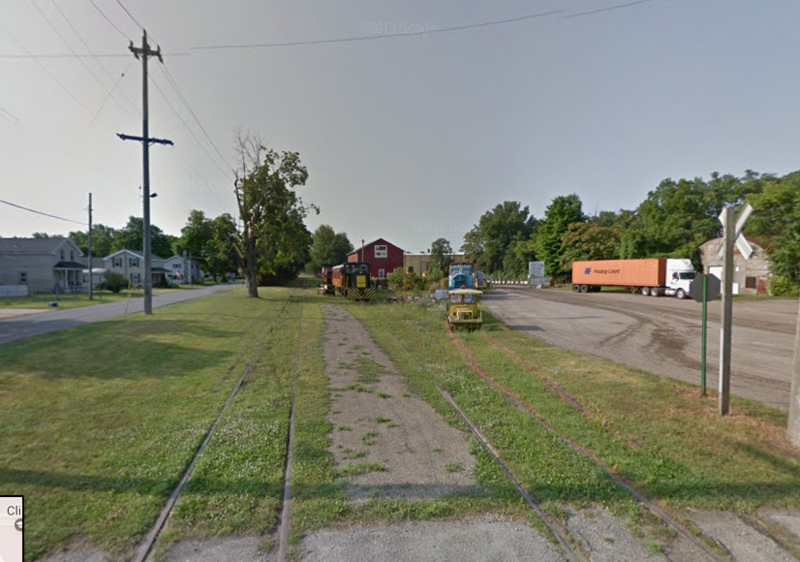 Some 34 years later, the Google Streetview car captured almost the same view. Amazingly, little has changed. The freight house, now inside the Hardwoods complex, has received a new coat of paint. The yard tracks contain rail equipment belonging to the SMRS. The entrance road to the wood company still hasn’t been paved!